Bobby II Freedom is celebrating his re-birth on June 25, 2017 - the 7th year anniversary of his rescue. A Draft Cross born around 1992, Bobby II Freedom is a former New York City Carriage Horse rescued from slaughter on June 25, 2010. 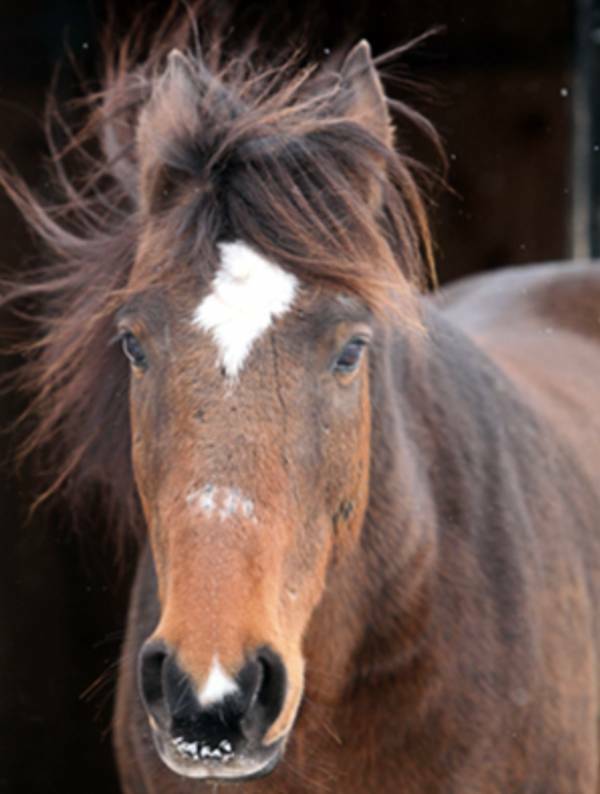 Equine Advocates made the arrangements to bring Bobby to an equine hospital for evaluation and then to the sanctuary. This wonderful horse, affectionately known by our staff as “Bobby Segundo,” will spend the rest of his life retired and turned out in the company of other horses—quite a departure from the unnatural conditions under which he was previously forced to live as a New York City carriage horse. Bobby II Freedom has become the current-day ambassador for the tens of thousands of urban carriage horses in the U.S. and around the world who are used and scrapped for slaughter after they become old or injured. We hope to educate the public through Bobby about the plight of urban carriage horses and other equines who are used for work, abused and then discarded after they outlive their usefulness.